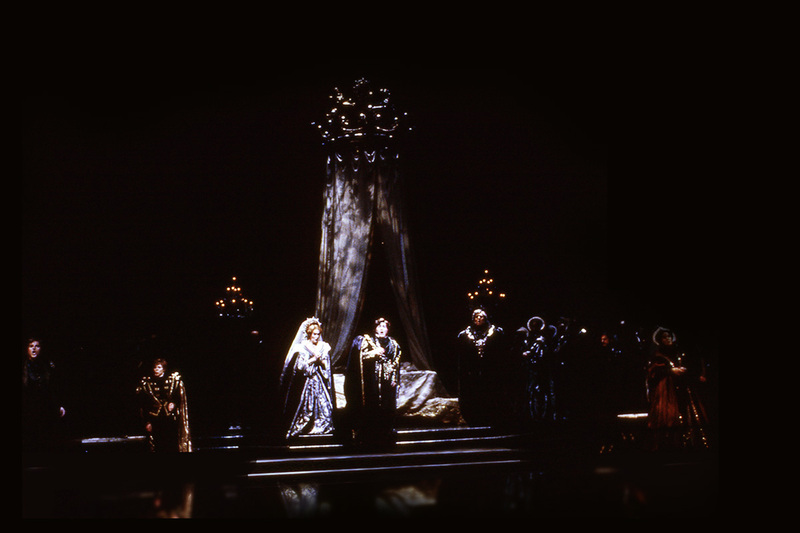 Act I sc i: Within the palace. Act I sc ii: Outside the palace at dawn. Concept rendering by John Pascoe. 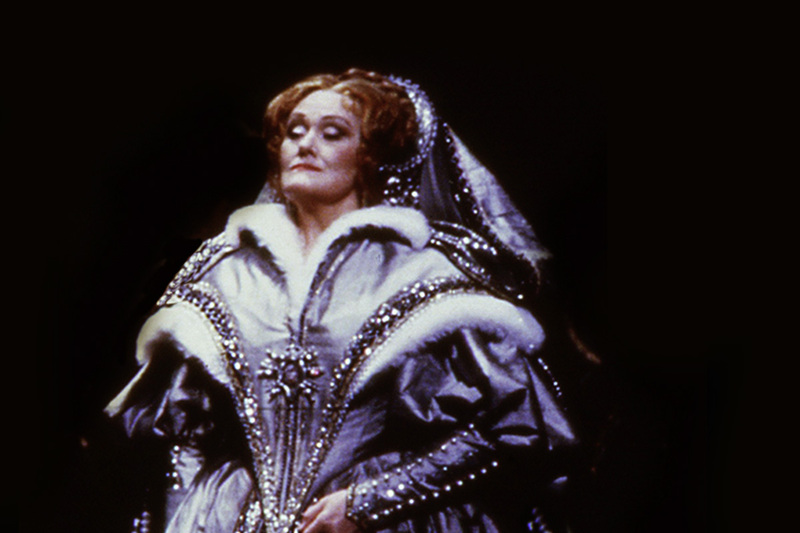 Act I sc i: Anna (Dame Joan Sutherland). 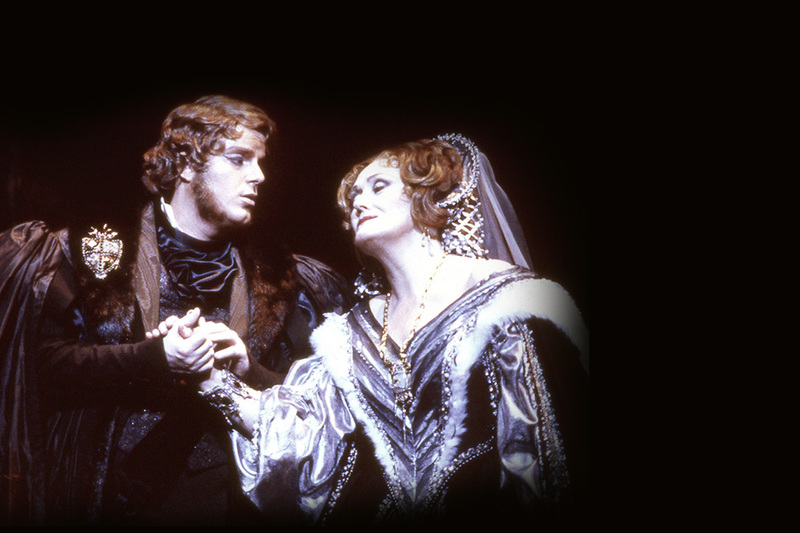 Enrico (Dimitri Kavrakos) greets Anna (Dame Joan Sutherland). 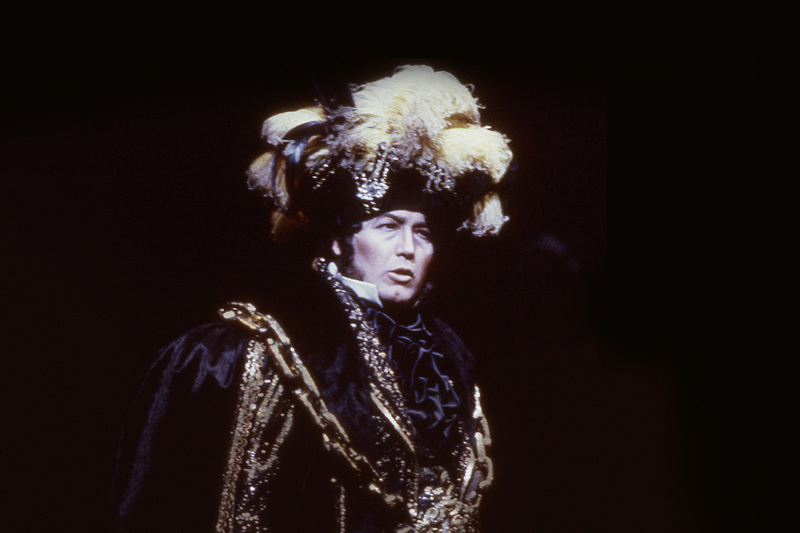 Act I sc ii: Enrico (Dimitri Kavrakos) discovers that Percy (John Aler) has returned. 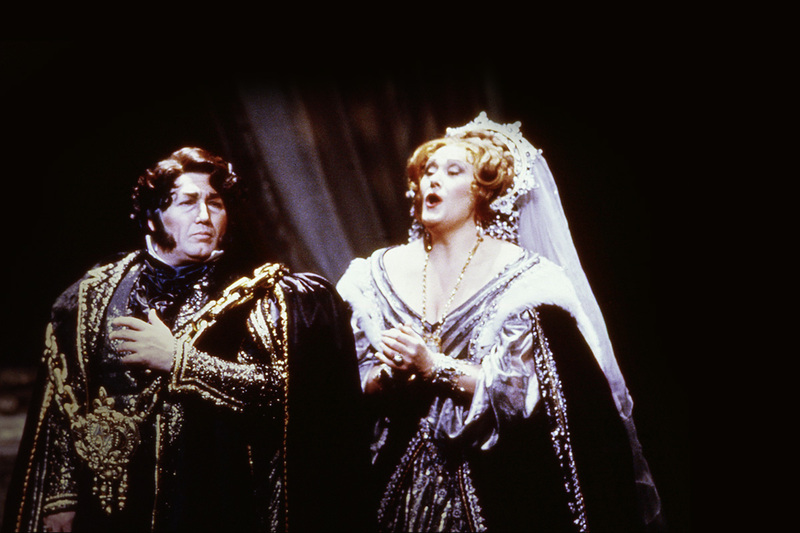 Anna (Dame Joan Sutherland) endeavours to control her feelings, while Enrico dissembles. 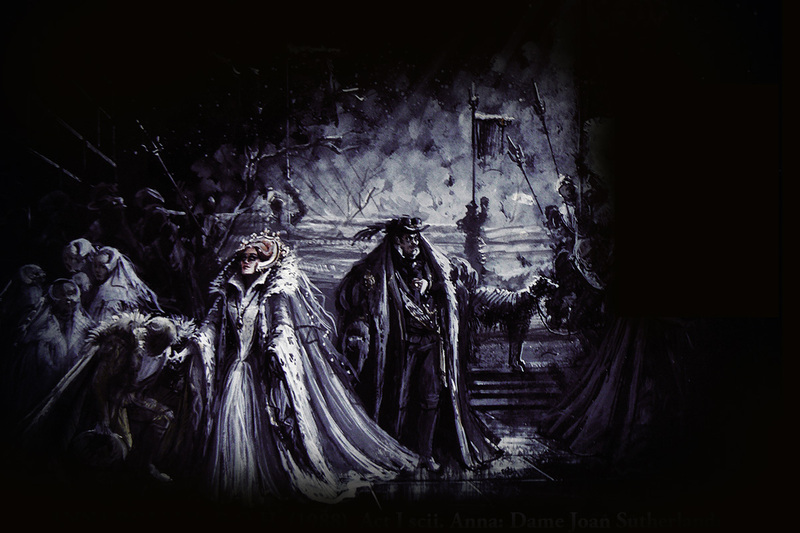 Act I sc iii: The young princess Elizabeth is entertained by Anna's ladies-in-waiting. 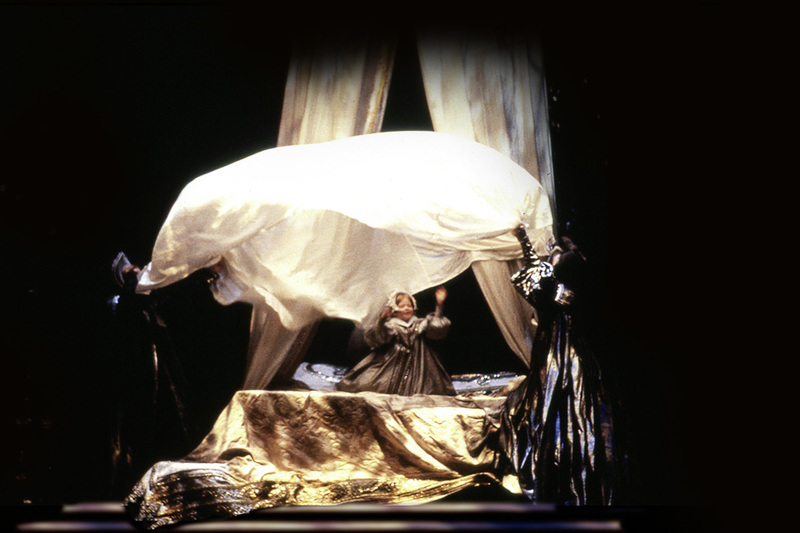 Act I sc iii: The Queen's page boy Smeton (Eirian James) hides within the drapes of the royal bed when he hears footsteps approaching. 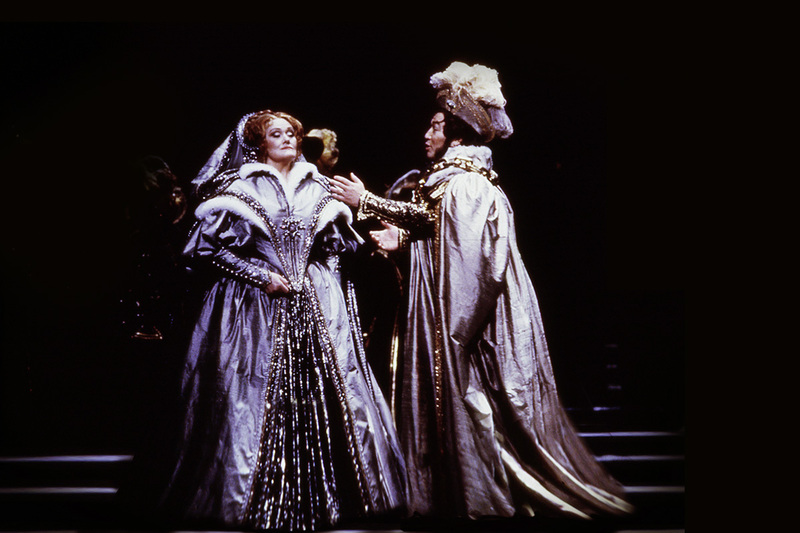 Act I sc iii: Percy (John Aler) tells Anna (Dame Joan Sutherland) of his endless love for her that began long before she became queen. 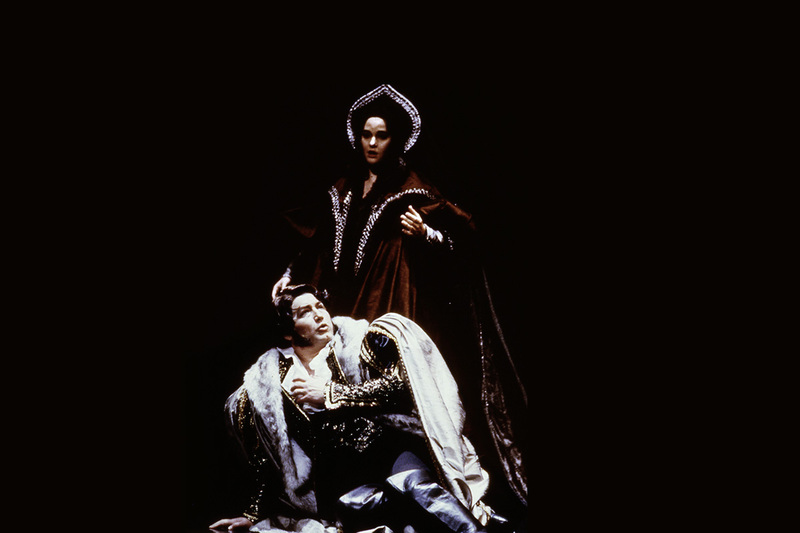 Act I sc iii: Percy (John Aler) makes love to and embraces Anna (Dame Joan Sutherland). 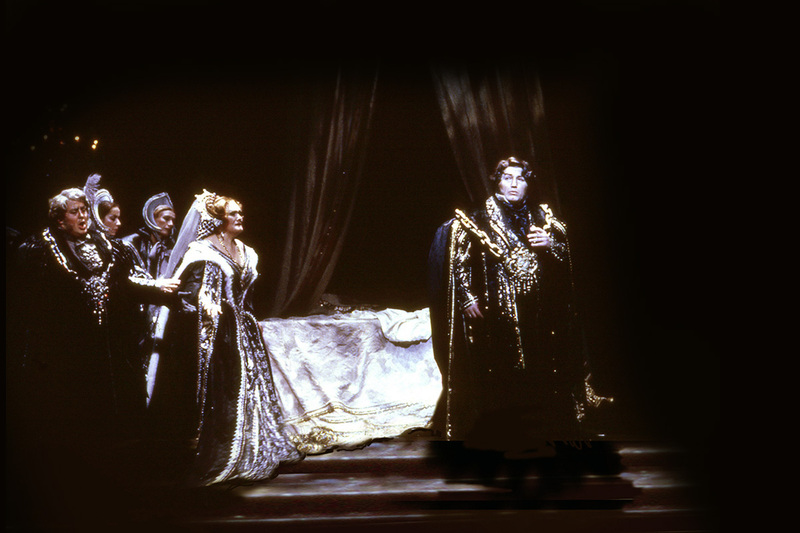 Act I sc iii: Anna (Dame Joan Sutherland) and Percy have been surprised by the king. Anna is accused by Enrico (Dimitri Kavrakos) of gross infidelity. 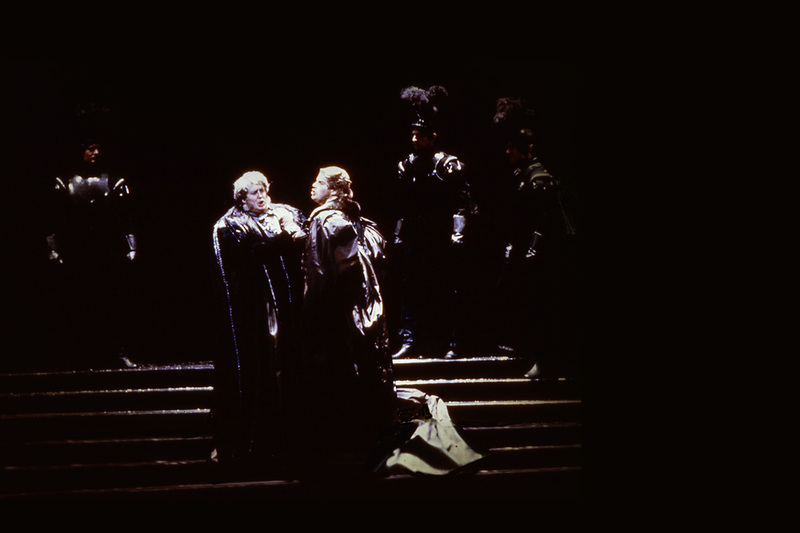 Act I sc iii: Enrico (Dimitri Kavrakos) orders Anna, Percy and Smeton to be thrown into separate jails. 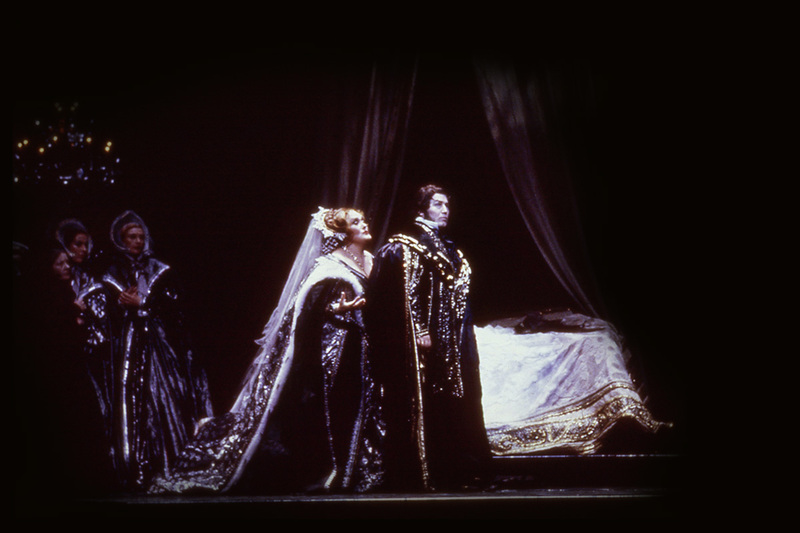 Act I sc iii: Anna (Dame Joan Sutherland) is horrified as Enrico (Dimitir Kavrakos) declares that only the judges can decide her fate. 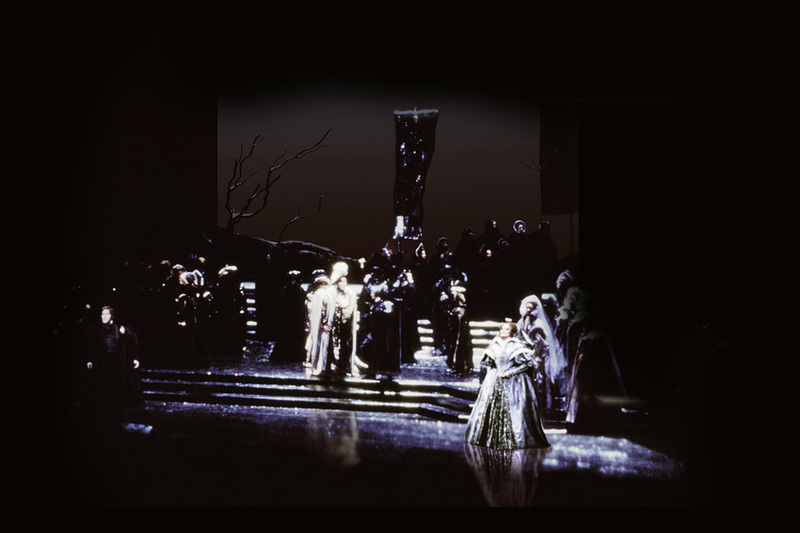 Act I sc iii: Anna (Dame Joan Sutherland) cries out in despair at the idea of being judged, but Enrico (Dimitir Kavrakos) is unmoved. 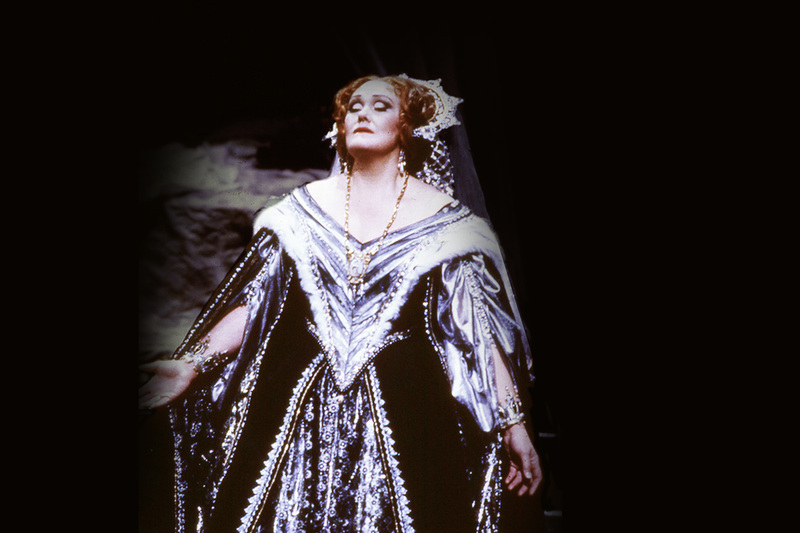 Act I sc iii: Anna (Dame Joan Sutherland) declares that her fate is inevitable when the king is both her accuser and her judge. 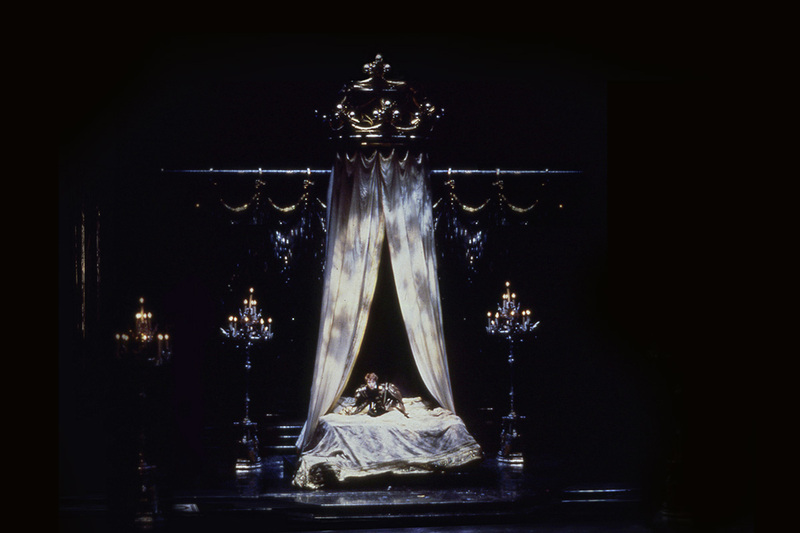 Act II sc i: In Anna's apartments, the ladies of her court lament Anna's abandonment by the people. 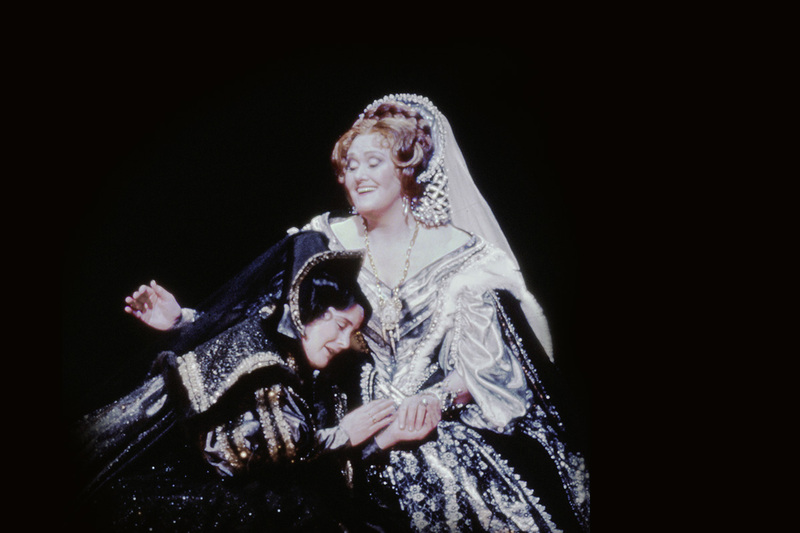 Act II sc i: In Anna's apartments Giovanna (Suzanne Mentzer) arrives and, distraught, falls down weeping in front of Anna (Dame Joan Sutherland), who greets her joyfully. 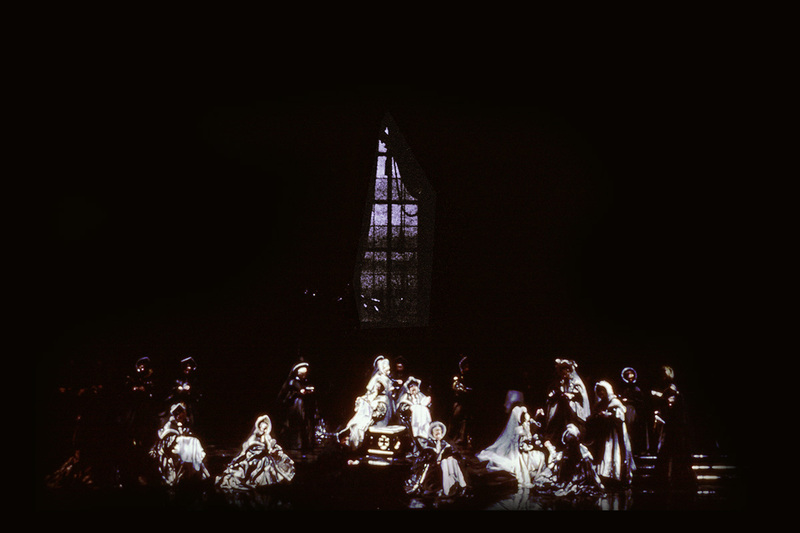 Act II sc ii: A secret room in the palace. 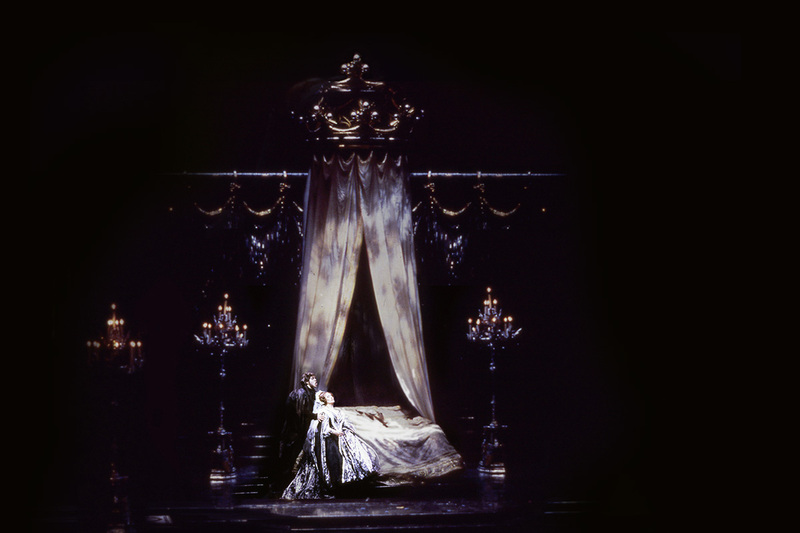 Giovanna (Suzanne Mentzer) tells Enrico (Dimitir Kavrakos) that she wishes she had never fallen in love with him. 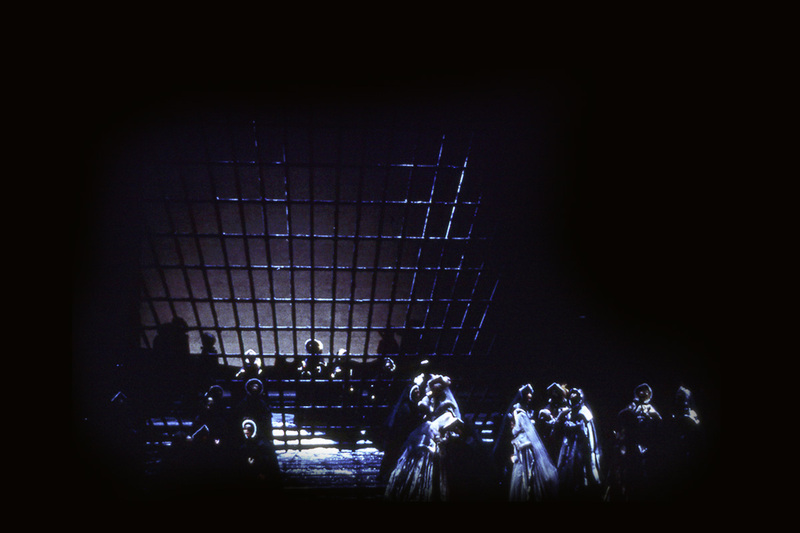 Act II sc iii: Inside the prison. Percy (John Aler) and Rochefort (Peter Rose) bid each other farewell, before being taken off to be executed. 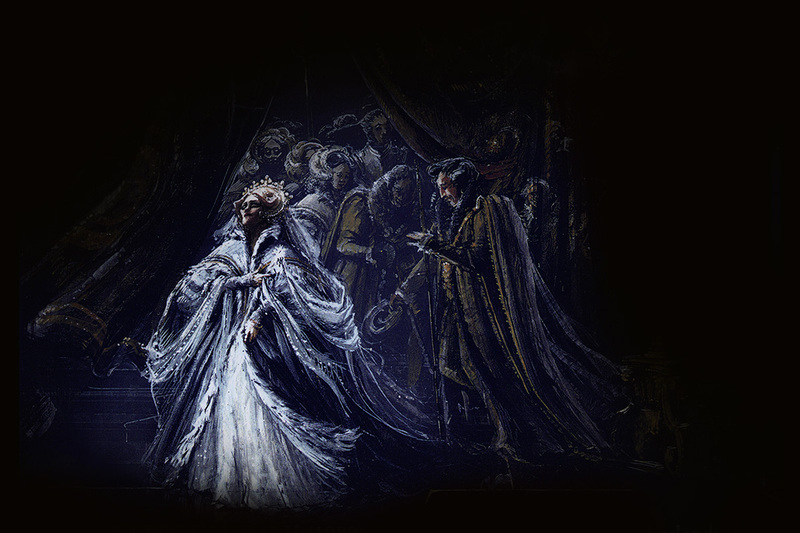 Act II sc iv: Anna's cell in the Tower of London. The ladies of Anna's court lament Anna's pitiful state. 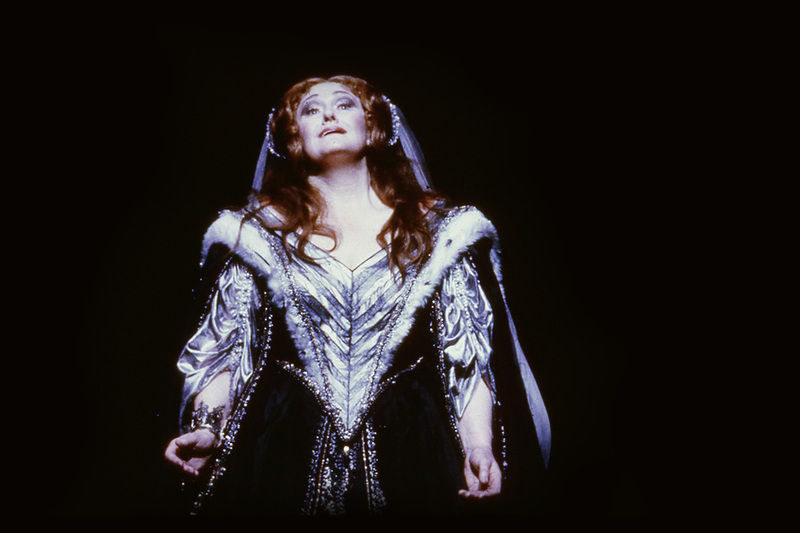 Anna (Dame Joan Sutherland) dreams happily of returning to the castle where she was born and where she first knew and loved Percy.